Quiet and convenient, Egret's Landing offers easy access to I-95, surrounding business parks and a great location in Mandarin. The Magnolia plan offers 4 bedrooms on the second floor with a main floor flex room with French doors on the main floor. The gourmet kitchen is equipped with double ovens and a natural gas cooktop. Endless amounts of cabinets in the kitchen, a walk in pantry and large kitchen island provide a great space for cooking an entertaining! Oversized master suite with corner bathtub and shower with frameless glass. 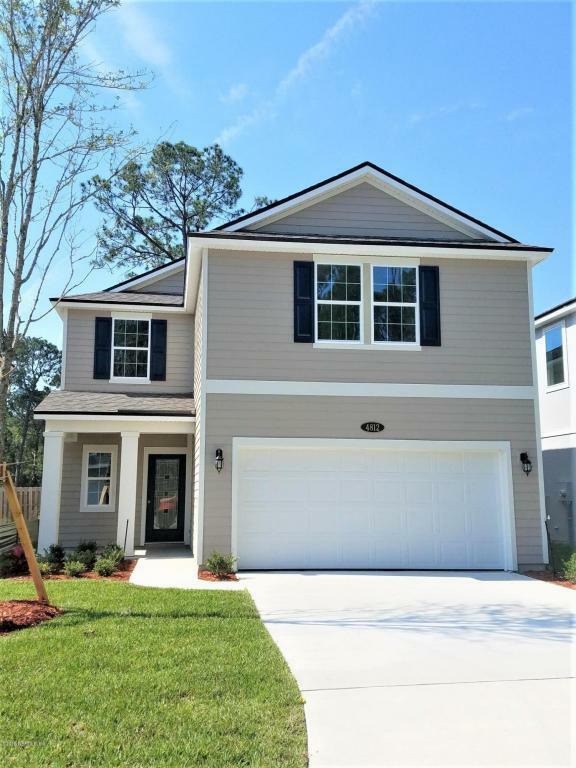 Upstairs laundry room, covered lanai, beautiful metal stair spindles accenting the foyer and second floor, crown molding, built-in cabinetry in drop zone and hardwood tile throughout the main floor are just a few features in this home!NATURAL GAS COMMUNITY! NO CDD FEES! UNDER TWENTY HOME SITES LEFT!